are taking a prescription drug. 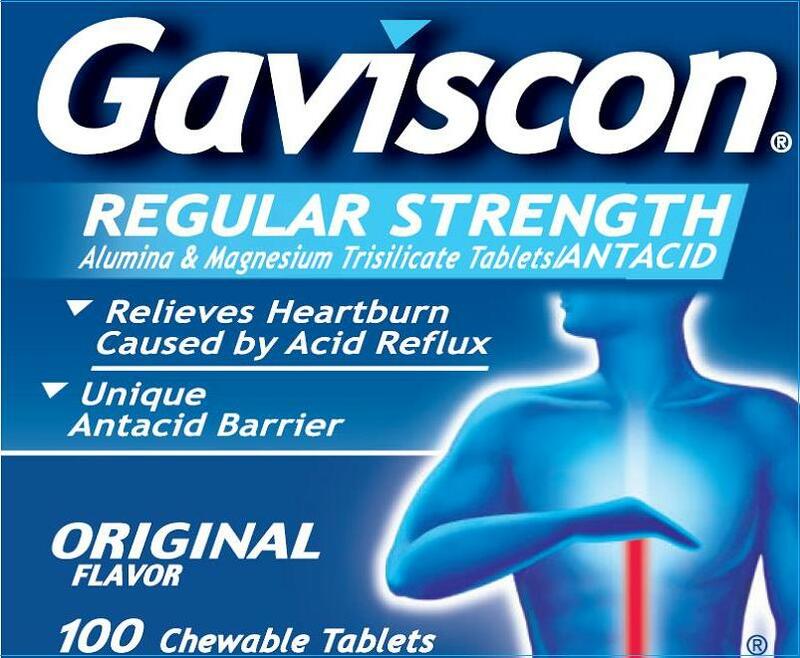 Antacids may interact with certain prescription drugs. In case of overdose, get medical help or contact a Poison Control Center. chew 2 to 4 tablets after meals and at bedtime as needed (up to 4 times a day) or as directed by a doctor. For best results, drink a half glass of water or other liquid after each dose. alginic acid, calcium stearate, flavor, sodium bicarbonate, and sucrose. May contain stearic acid. 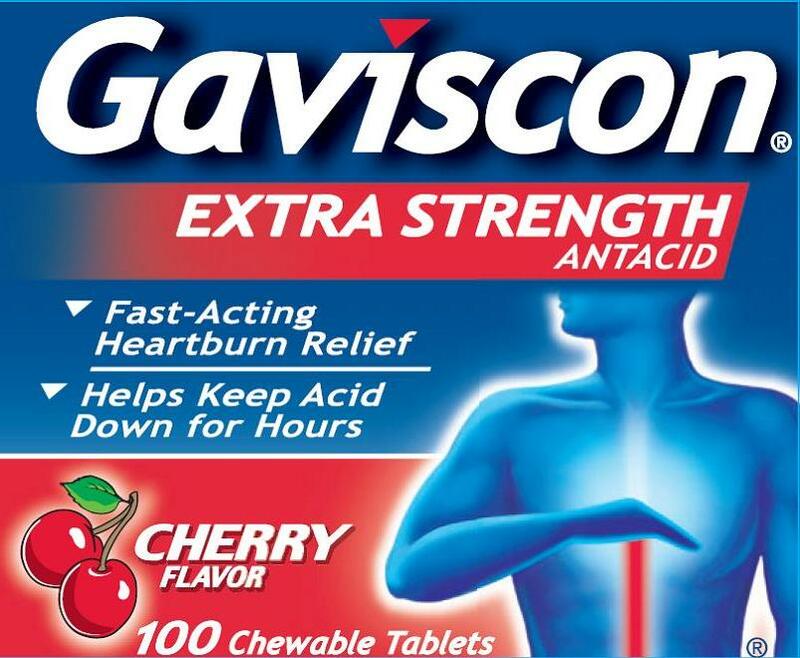 Contains sorbitol or mannitol. May contain starch. IMPORTANT: Do not use if foil inner seal printed "SEALED for YOUR PROTECTION" is disturbed or missing. 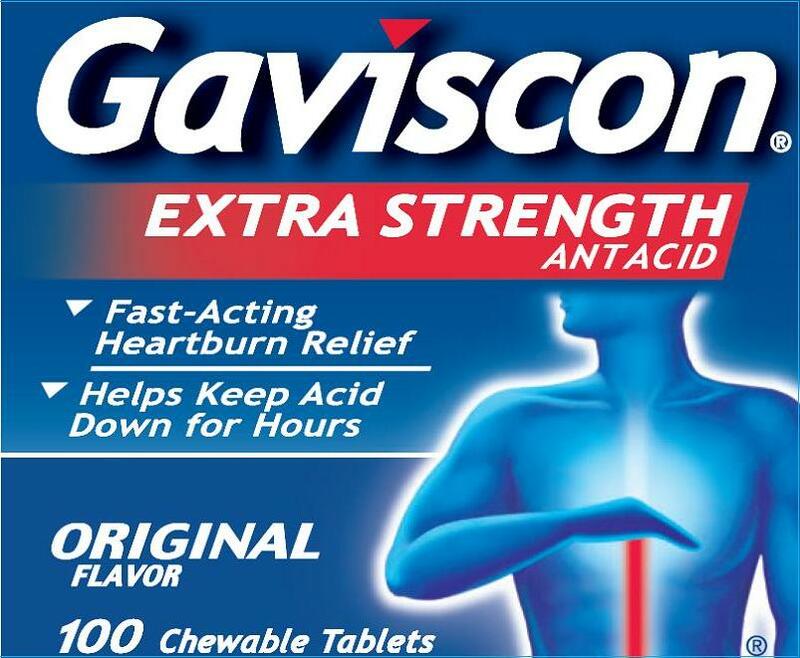 GAVISCON® is a registered trademark of the Sanofi group of companies and licensed by the GlaxoSmithKline group of companies and TORSO device is a registered trademark of the GlaxoSmithKline group of companies.